The Xbox One has built-in game streaming, so why not Windows? 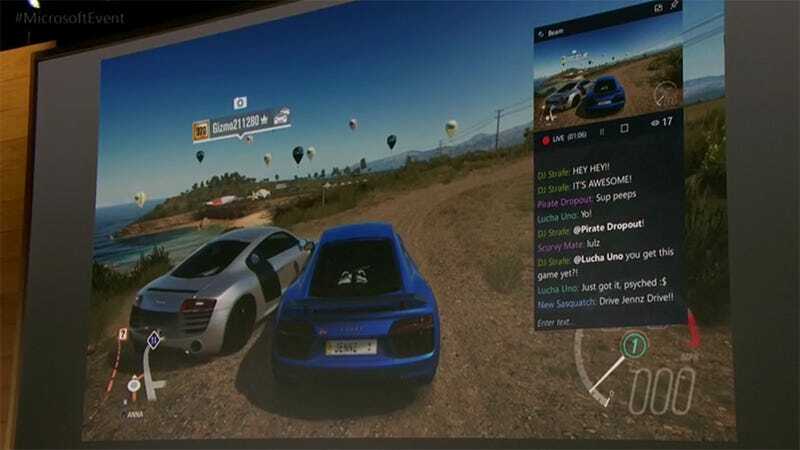 During today’s Windows 10 event, Microsoft announced that Beam interactive broadcasting technology would be built into the operating system with this spring’s free Creators Update. Streaming from a PC can be a complicated affair. Microsoft aims to make the experience as easy as it is on the Xbox One by integrating Beam’s interactive broadcasting technology. Beam allows players to not only stream their gaming content, but also lets spectators interact via buttons along the edge of the screen. During an on stage demo at the event, the presenter showed off Beam’s ultra-low latency protocol, which allows for players to interact with the broadcaster with much lower lag than normal streaming methods—almost real-time. The Windows Xbox Live service automatically notifies friends and followers when a stream begins. While I don’t imagine the built-in Beam broadcasting tech to sway experienced streamers away from their OBS and Xsplit, it should give players just getting started an easy way into the wonderful world of being watched.